As an active member of AMCA's Board of Directors and Code Action Review Committee, All-Lite associates participate in the development of building codes, design regulations and test standards which ensures that our products comply with the latest requirements. As members of the United States Green Building Council, All-Lite takes its role in helping to conserve the earth's resources very seriously. 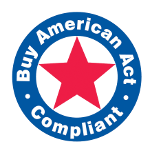 All products manufactured by All-Lite comply with the Buy American Act as described in the American Recovery and Reinvestment Act (ARRA), Fabrication of our products is performed in Fort Worth, Texas and Montebello, California. A not-for-profit association of air system equipment manufacturers which serves as a valuable resource and a strong means of self-regulations in the industry. Members participate in the development of standards and a Certified Ratings Program. Our President is currently Chairman of the Board of the Executive Committee. Manufacturers of construction products submit technical documentation (test reports, engineering analysis, intallation procedures, etc.) to verify compliance with the building code. Once approved, products will receive an NOA number. A group of builders, enviromentalists, corporations and nonprofits, teachers and students, lawmakers and citizens that share a common vision of a sustainable built environment for all within the next generation. This work includes LEED, a certification program that guides project design, construction, operations and maintenance. There are times when products from All-Lite may be produced from one hundred perent pre-consumer content and/or a combination of pre-consumer content and post-consumer content. 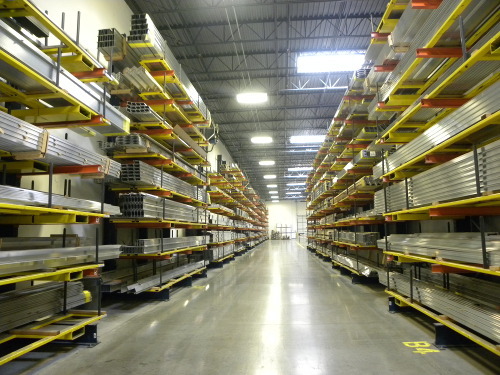 The products supplied by All-Lite are fabricated and assembled at All-Lite's plants located in Ft. Worth, Texas and Montebello, California. Copyright © 2019 All-Lite Architectural Products. All rights reserved.